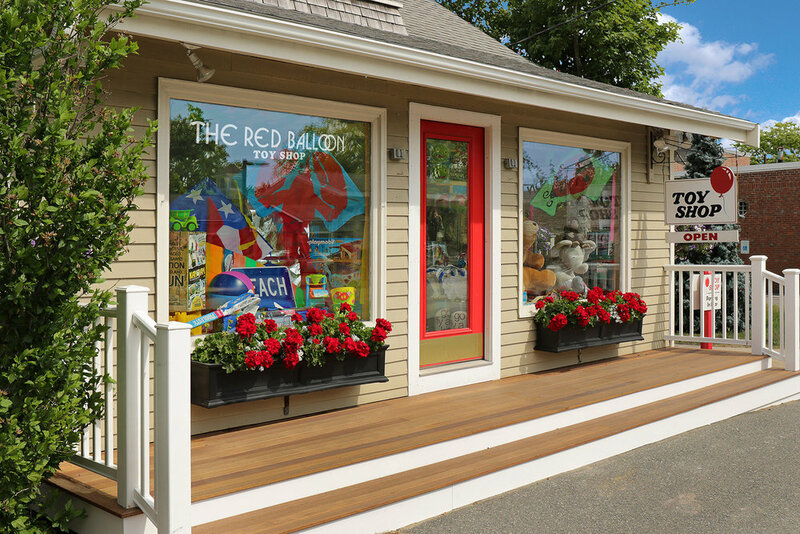 The Red Balloon Toy Shop, Orleans, is situated in downtown Orleans, on the elbow of Cape Cod. Our address is 114 Route 6A, and you will find us next to the CVS and across the street from the Mobil station. From Boston, Hyannis: Take the Mid Cape Highway, Route 6, east to exit 12. At the end of the ramp, take a right. Go straight through a set of lights, and continue along the road (Route 6A) for about 3/4 of a mile. The Red Balloon Toy Shop will be on your left. From Provincetown: Take Route 6 to the Orleans Rotary, and continue on rotary toward Orleans Center on Route 6A for about 1 mile. You will find us on your right.